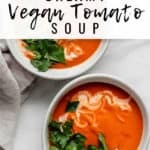 This creamy vegan tomato soup is so easy to make and comes together in just 15 minutes! This recipe is sponsored by Pomi. Well, it’s winter, it’s cold, I’m making some warm and creamy soup again and it just FEELS RIGHT. Sunday’s have officially been dubbed soup day in my home. Something about going into the new week with a big pot of soup ready to go for the week ahead makes winter *a little* more tolerable. Every week we rotate with a different soup. Stuffed pepper soup, Thai soup, lentil soup, and now tomato soup! 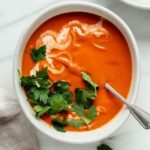 So to keep this soup SOUPER simple, (ha, had too..) we’re using just a few simple ingredients in this recipe. 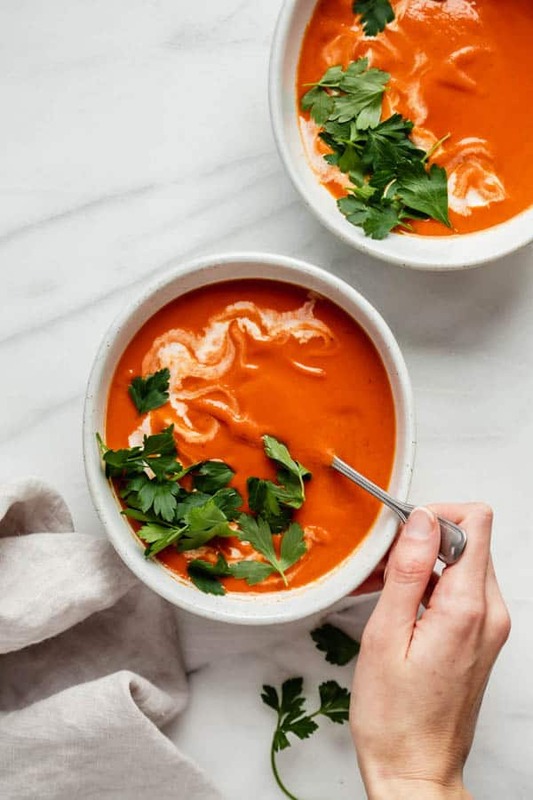 For starters, we’re using Pomi chopped tomatoes for this soup. Cuz ain’t nobody got time to sit and chop fresh tomatoes when it’s dark and cold out. 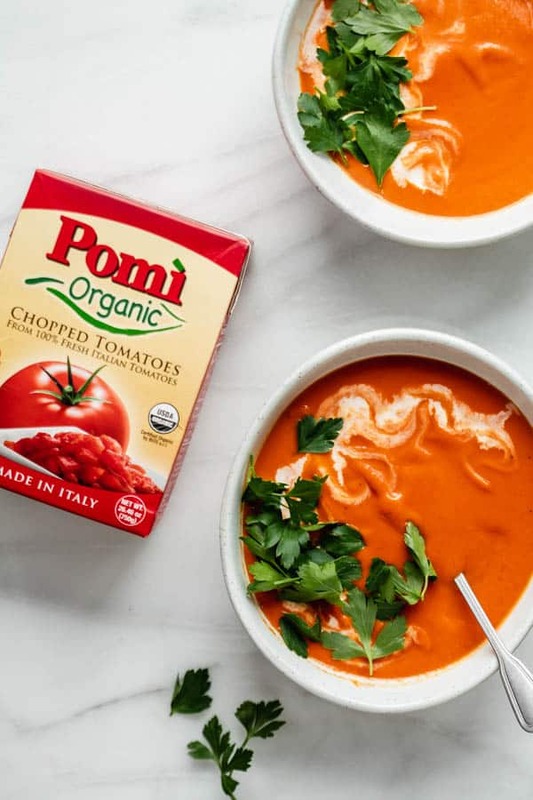 Pomi tomatoes are 100% Italian, so you know you’re getting some high-quality traditional Italian tomatoes when you open a box of their chopped tomatoes. My absolute favourite thing about using these tomatoes in a soup is that you get that fresh tomato flavour WITHOUT having to do the work. 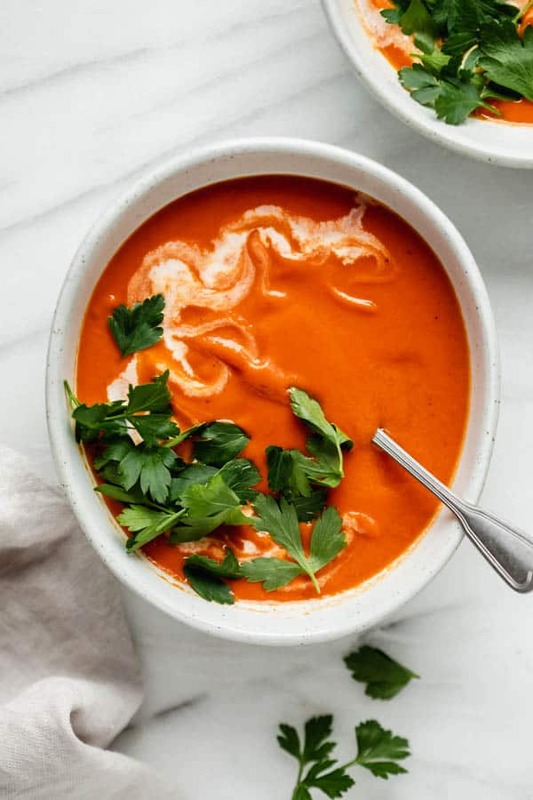 So this creamy vegan tomato soup recipe uses pretty simple ingredients. Using plenty of garlic is essential to build up some great flavour in this soup. I use 5 big garlic cloves, but if your garlic cloves are small you add even more. 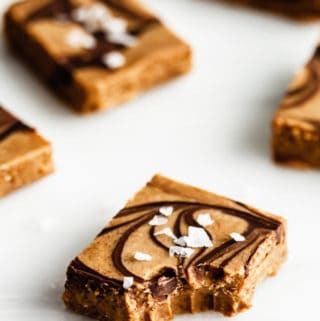 Just yum! Although this is a tomato soup, w’ere adding in some cauliflower to make the soup extra creamy, and a little bit thicker. 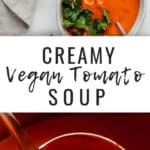 (This is the secret to making the creamiest vegan tomato soup!) If you leave out the cauliflower you’ll have a much thinner consistency in the soup. Plus it adds some extra nutrients! 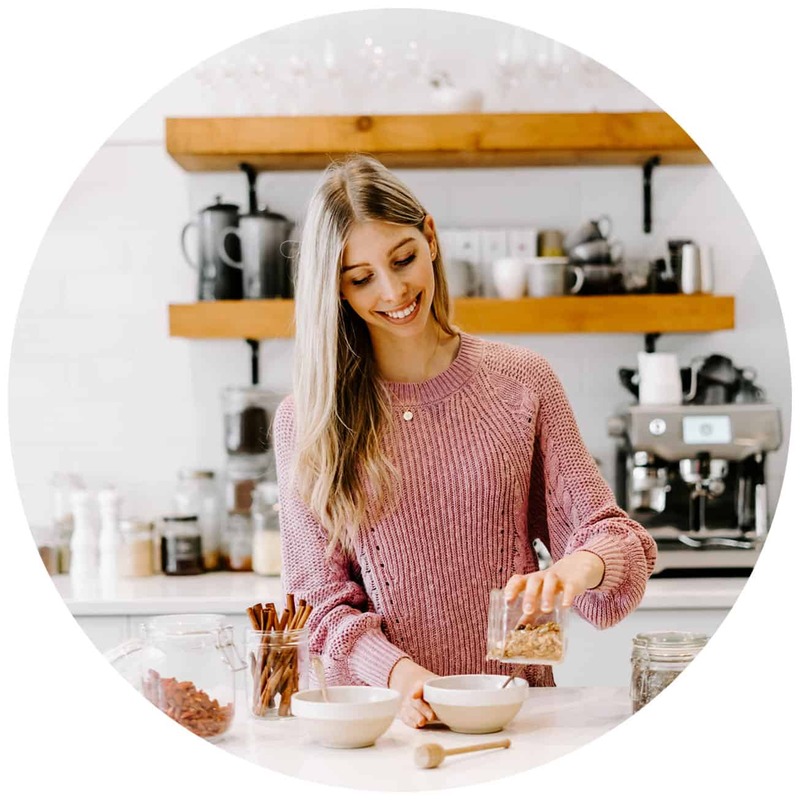 If you don’t want to use coconut milk in the recipe, you can use a cashew milk or other type of plant-milk instead to make the soup extra creamy. 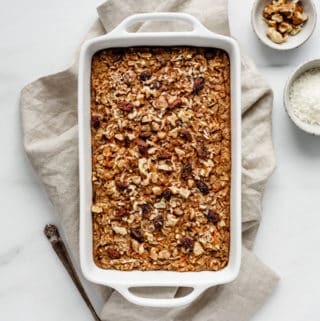 You could also alternatively add some soaked cashews to blend with the soup to add some creaminess and extra thickness. You can blend up this soup in any blender, or use a hand blender. Both will work just fine! 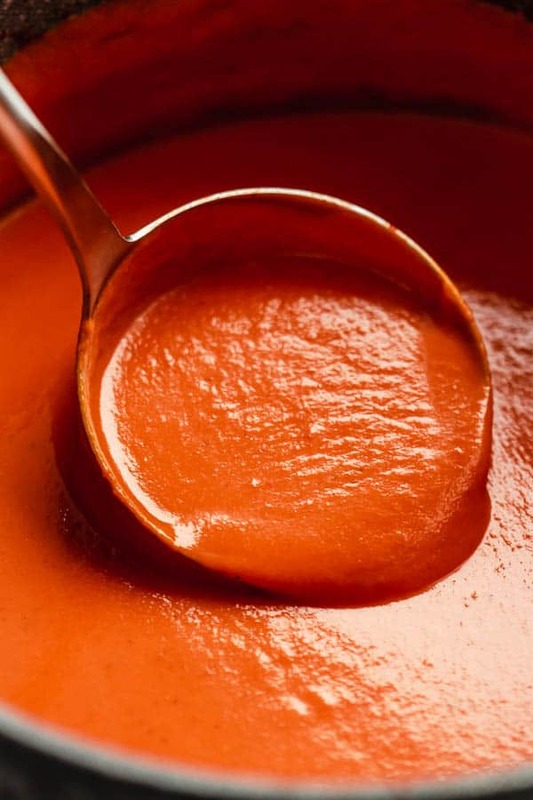 You can blend the soup to be super smooth and creamy, or you can leave it with a bit of texture if you prefer! This soup freezes well! So if you have any leftovers you can freeze them in an air-tight container. Only takes 15 minutes to throw together! 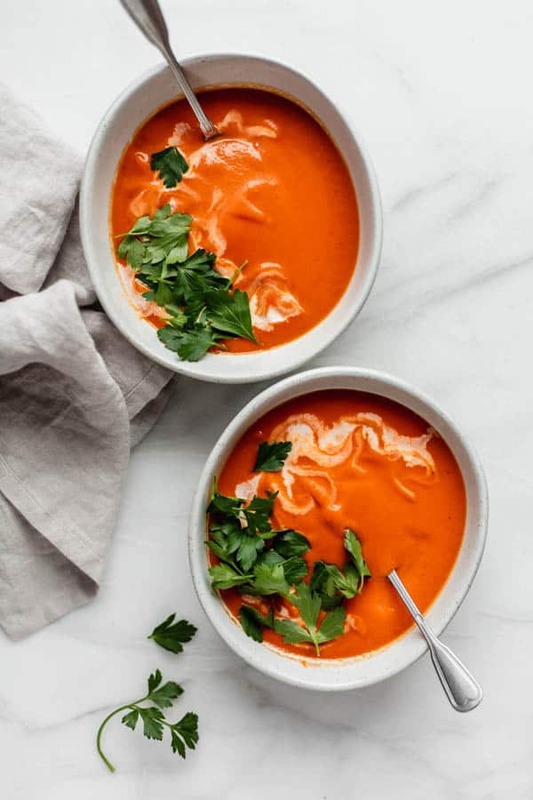 This creamy vegan tomato soup only takes 15 minutes to make and SO creamy! Heat the olive oil in a pan on medium-high heat. Add the onion and let cook for 2-3 minutes, until translucent. Next, add the garlic and let cook for another 2 minutes. Add the rest of the ingredients and bring to a boil, mixing everything until well combined. Lower the heat to medium-low and let cook for 10 minutes, until the cauliflower is soft. Leftovers? Freeze them in an airtight container! This soup looks so delicious, Jess! This soup looks so luxuriously creamy! I love that I already have all the ingredients I need to make this on hand. 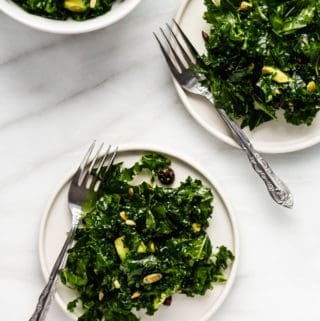 Definitely adding this to the menu this week! Just wondering what a “pack of tomatoes”? Would it be a the same as a can of diced tomatoes? Hi Ashley, you can use a can of diced tomatoes or even crushed tomatoes!